March is over. They say the month is supposed to come in like a wintery lion and go out like a lamb frolicking in sunshine. This particular month slunk away in a trail of dirty slush like a mutant lion-lamb hybrid. But I got a book published in March, so for me the month was glorious. 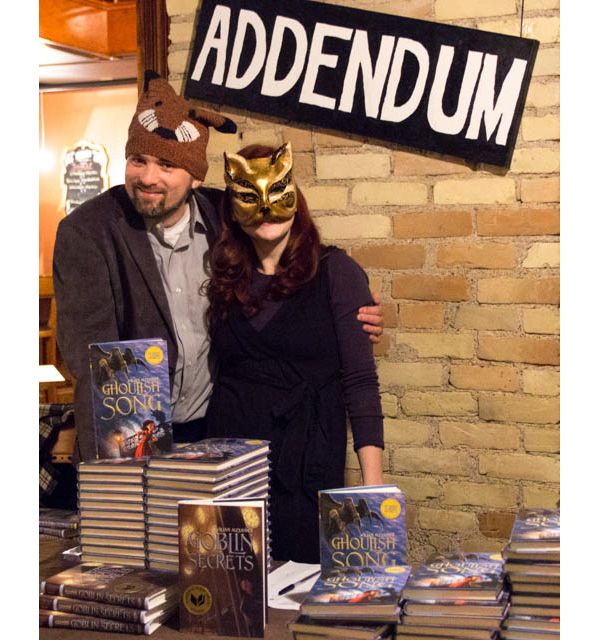 Addendum Books organized the launch party. PW covered it here. We drank hot chocolate and listened to live music from Dreamland Faces. 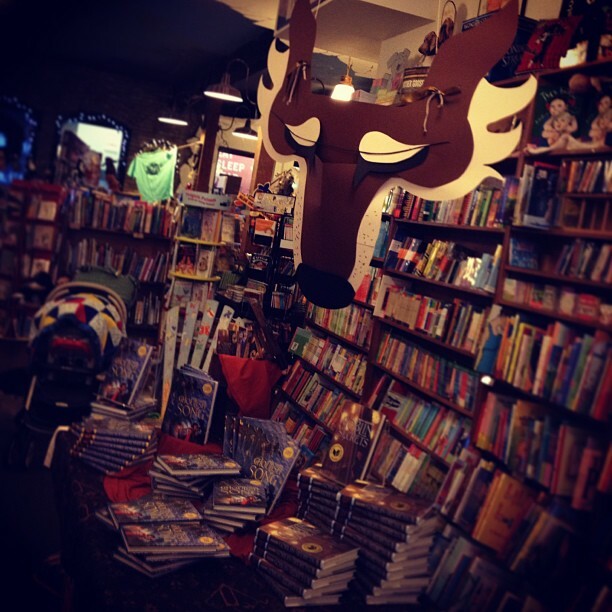 DreamHaven and Red Balloon and Wild Rumpus and Uncle Hugo’s and Birchbark Books all hosted splendid events. 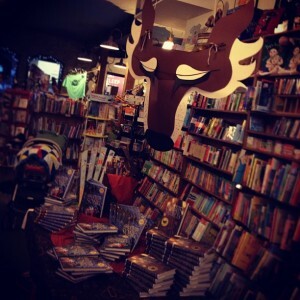 This town is so very rich in bookstores. 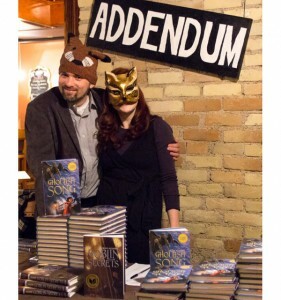 Wild Rumpus made me a great big mask. 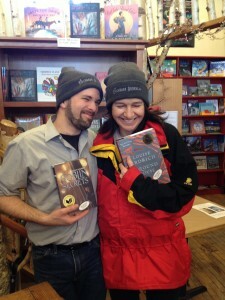 Louise Erdrich joined me at Birchbark and gave me a hat. It was a very good month. The frozen resentment of mutant lion-lambs can’t possibly compete with such celebrations and hospitality. Nancy Holder asked me all sorts of excellent questions at The Enchanted Inkpot. The Route 19 Writers blogged about favorite passages from Goblin Secrets and offer insights into why those particular bits of the book worked for them. Amy Goetzman wrote about me and unsettling stories for MinnPost.